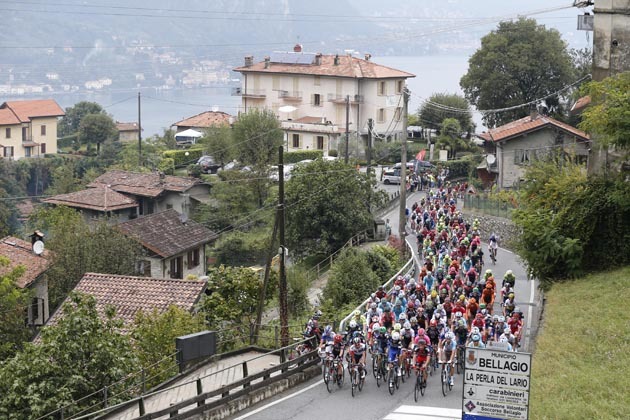 Il Lombardia – previously known as the Tour of Lombardy or Giro di Lombardia – is the final Monument of the five in the cycling season and is traditionally the last major outing for the peloton before they take their off-season break. In 2019, it takes place on October 12. Running since 1905, it is the Classic with fewest interruptions in its lifetime, with only the 1943 and 1944 editions having to be scrapped because of the war, meaning the ‘race of the falling leaves’, which takes place in the Lombardy region of Italy, is now in its 113th edition in 2019. The race will likely be broadcast on Eurosport. Alternatively, you can catch it on fuboTV – there’s a free trial and you can connect on any device. The impressive roll call of winners includes the likes of Fausto Coppi, Eddy Merckx, Tom Simpson and Sean Kelly. Italian Coppi holds the record number of victories, having taken five during his career. Since the Worlds were moved from summer to autumn in 1995, Lombardy is more often than not the first place the new road race world champion gets to show off his rainbow jersey for the first time. Thibaut Pinot (Groupama-FDJ) made the most of his career-best form to win the 2018 Il Lombardia, his most prestigious to date. Thibaut Pinot has won Il Lombardia after dropping his nearest rival Vincenzo Nibali and riding solo to the line. Quick-Step Floors’ Julian Alaphilippe has pulled out of Il Lombardia due to fatigue after a long and successful season. Three months after breaking his back in a horrific crash at Il Lombardia, Jan Bakelants has revealed that he is a centimetre shorter due to his injuries. Laurens De Plus was told by doctors that he was "really lucky" to escape without serious injuries, after his dramatic crash at Il Lombardia. Jan Bakelants and Simone Petilli are both in hospital after suffering broken vertebrae in crashes on the same corner as Laurens De Plus at Il Lombardia. From Nibali's prowess to the horrible crashes, we analyse the top talking points from a memorable edition of Il Lombardia which gave a home victory. Laurens De Plus escaped without serious injuries after he suffered a bad crash at Il Lombardia, flying over road-side barriers after misjudging a corner. Vincenzo Nibali delivered a home victory for the Italian crowd at Il Lombardia as he attacked on the penultimate climb of the day to take a solo win.